In addition to the monthly subscription, Gentleman’s Box also offers a Tie of the Month box for $15 a month and a Sock of the Month box for $12 a month. Each month, you’ll receive lifestyle, accessories, and fashionable pieces, all of which can be styled together or separately. Each month also honors a famous gentleman. This month’s theme is Detroit Designer, I wonder who it could be! This monthly booklet includes styling tips, editorials, stories, and information on every item in the box as well. The booklet also includes some light reading material on rebuilding Detroit and a fun summer playlist. Now let’s take a look at what’s in this month’s shipment! I’ve never had a shoe brush before, so I’m pretty excited to have received one in this month’s shipment! The brush will surely come in handy for some of my old favorite shoes that could use a little sprucing up. The quality of the wood and bristles seem to be good and since I’ve received, I’ve already used on two pairs! A great addition to the shoe brush is this shoe polish from Cobbler Concierge. The polish is meant to be used on leather material, but I think you could use it on faux leather, too. I’ve used this on two pairs already and it really helped to clear up some scratches, making my shoes a bit shinier, like they used to be. These red shoelaces are also a nice addition to this month’s box and nothing like I have in my current shoe string assortment. I don’t think I’ll be wearing these on the regular, but when it matches my outfit and the occasion calls for them, these will really make my outfit pop. The quality is high on these, too, so they won’t be fraying anytime soon. These socks are nothing like I own and are probably some of the most unique pairs I’ve ever received from this subscription. The quality is high; the material is quite thick and extremely comfortable while wearing them. I don’t think these socks will be worn too regularly as the colors are a little out there for me, but when the right outfit calls, these will surely be making their debut! This 100% cotton tie is really great quality and the floral print is perfect – this is something I’d definitely buy in the store, so this is a huge win for me in this month’s box! I paired here with a chambray button-up, but I think this would go with plenty of other colors like white or maybe even a red. I can definitely see myself pairing with the shoelaces and socks from this month’s box, too! I own a few shoe bags but rarely use them, so this canvas bag is a little less than desirable for me in this month’s box. The quality seems good, but I just don’t foresee myself using this too regularly. Saying that, I do think it’s nice to have some canvas bags lying around the house, so I’m sure I’ll find a use for this product. Verdict: This is a pretty good Gentleman’s Box! All pieces in this month shipment are unique, of good quality and will get put to plenty of use! The value received in this month’s box was about $105, which far exceeds the $25 + free shipping box cost! I’d suggest this box for any gentleman who is looking to up their accessory game with a new look every month! 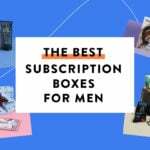 What did you think about the products in this month’s The Gentleman’s Box? My 16 yr old son loved his box this month. The tie was his favorite item. He plays sax in jazz band and their “uniform” is a dark suit with crazy socks and tie. So this sub is great!!! I forgot to say these shoe bags are great for travel/packing because who wants to put their dirty shoes in with their clothes? ?